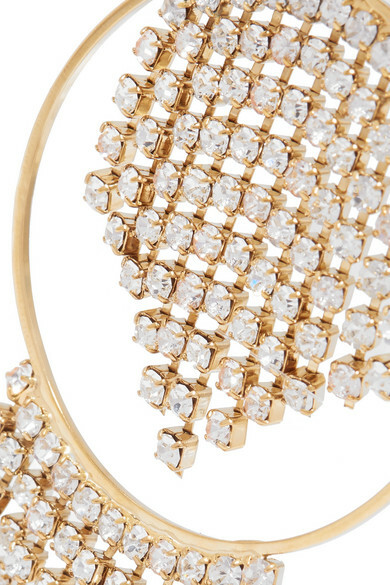 Rosantica's Michela Panero often looks to '80s New York for inspiration, and these 'Strobo' earrings encapsulate the city's disco scene perfectly. 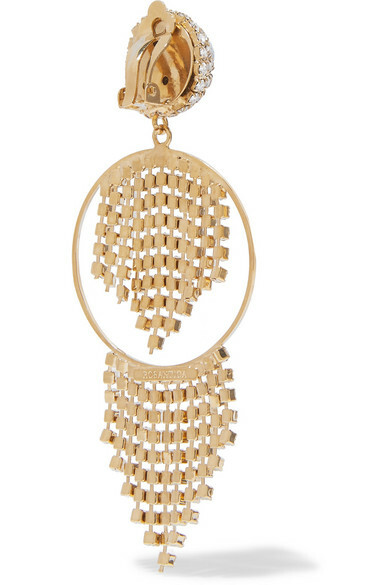 Cast from gold-tone brass with an oversized hanging ring, they have crystal-embellished tassels that dance and sparkle as you move. Show them off with swept-back hair. Shown here with: See By Chloé Top, Loren Stewart Ring, Loren Stewart Rings, Jennie Kwon Designs Necklace, Grace Lee Ring, Wwake Ring.